I have wonderful memories of running around orchards in Indiana on days like today, when the clouds, white as apple blossoms, float in the sky like they are felt cutouts on a fictional flannelgraph board. The sun is warm on your face, though the air is cold enough that a sweater is wanted; the clouds sift through it, and the trees temper from stormy to golden and back in a matter of minutes. My sister, who does Fall Cleaning instead of Spring Cleaning, and cannot get to sleep on “September Eve” like it is Christmas Eve, shares my giddiness for the upcoming season. Last weekend her family picked 20+ lbs of apples, and she went nuts making appley goodies, including an applesauce spice drop donut that I had to try for myself. The recipe I started with is from All Recipes (I like this site, because they do math for you if you want to make less/more). She used her homemade applesauce, but I just used a little cup of Motts. Instead of buttermilk, I used milk and apple cider vinegar. 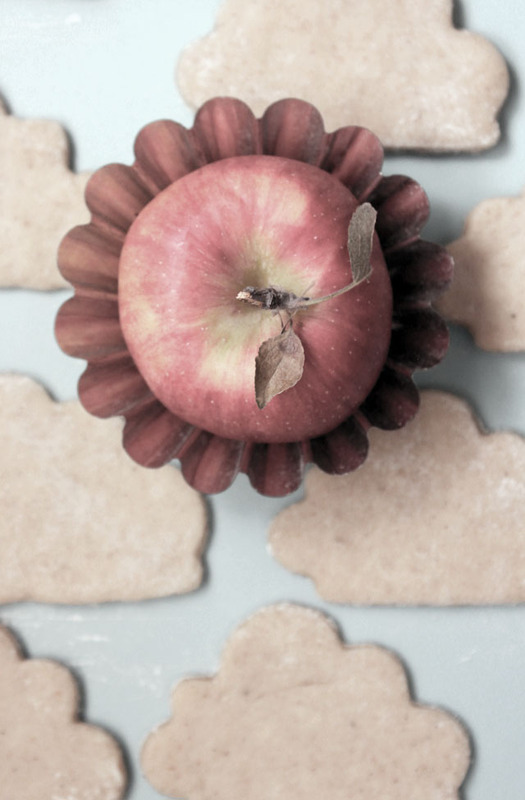 Instead of dropping them I rolled them out, because I thought it was the perfect excuse to use my handmade cloud cookie cutter from the enchanting Herriott Grace. 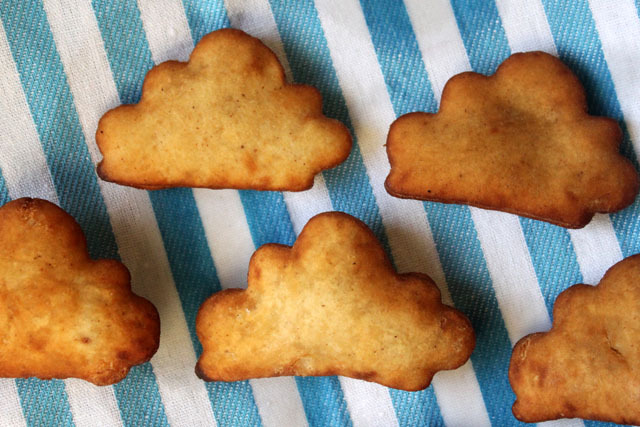 Applesauce donut clouds have the taste of an apple fritter without the chunky texture. 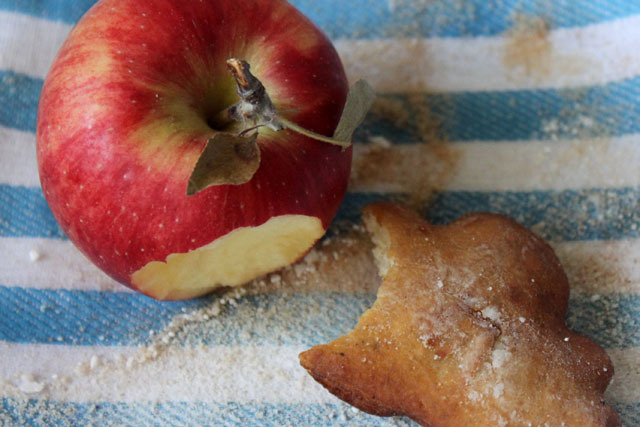 You bite into them and they scream, “Get Thee to a Fall Festival!” Good thing Johnny Appleseed is this weekend. Oh my word. Those look so amazing…It’s kind of killing me. Also, bonus points for referencing flannelgraphs. I was thinking about flannelgraphs a few weekends back.. when cutting out felt letter, all of the scraps stuck to my yoga pants just like a storyboard! p.s. am flattered by your appreciation and reciprocate. These look so great! And I love the cutter photo, thanks Amy! so welcome, and thank YOU – your products/ideas spread the magic! this post is in every possible way, divine. Oh, goodness! I want these right now. 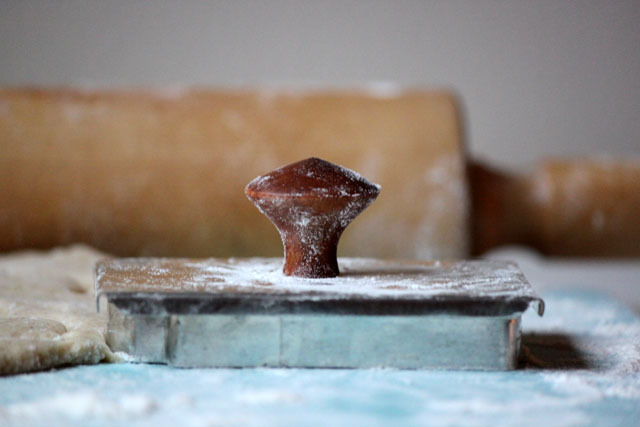 What a perfect cutter to use for donuts.